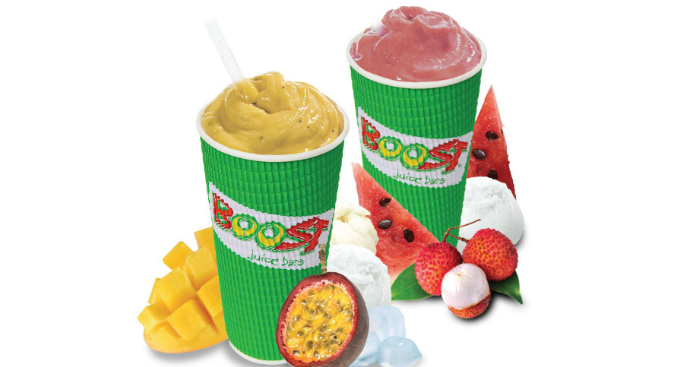 Head on to Boost Juice Bars Singapore at ION Orchard #B4-64/65 with a friend and enjoy a 1-for-1 Original Crush! 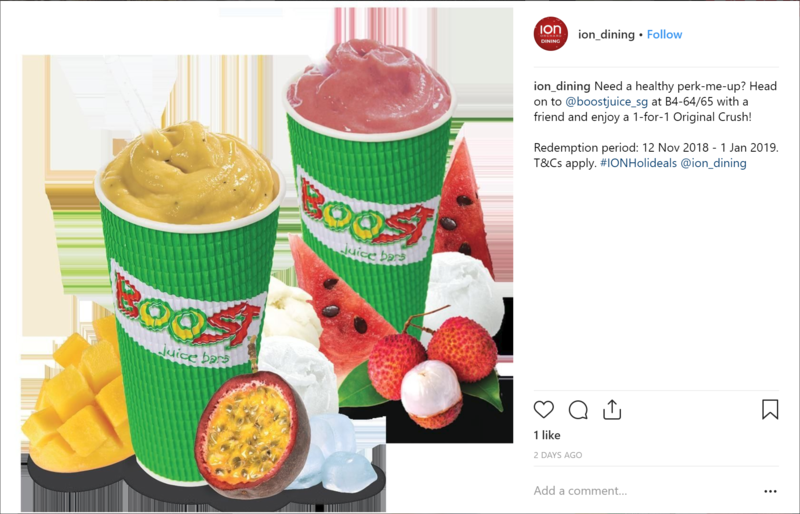 Like and flash these deals to redeem in-store from now till 1 Jan 2019. 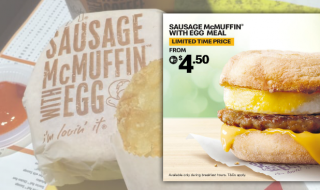 Redemption period: 12 Nov 2018 – 1 Jan 2019. 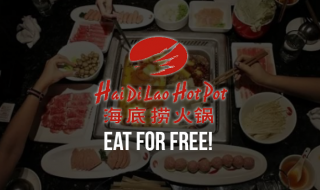 BREAKING: FREE Hai Di Lao Hot Pot Set (feeds six) when you order via UberEATS on 30 Jan 17. Valid for new users & SCB Cardmembers! 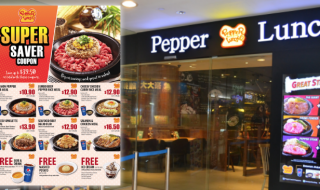 Pepper Lunch Singapore releases coupon deals for use till 2 May. 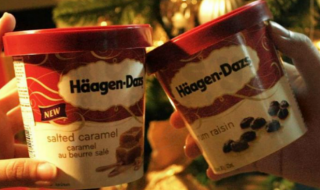 Save up to $39.50 in total!